What is up with the weather? It took me 2 hours to drive home tonight in pouring rain! Luckily I made a quiche on Sunday. 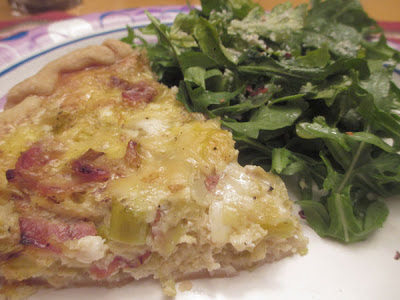 So tonight all Chris had to do was heat up the quiche and make the Arugula Salad. For the quiche I sauteed leeks and bacon, seasoning it with some thyme. I pre-baked the crust. 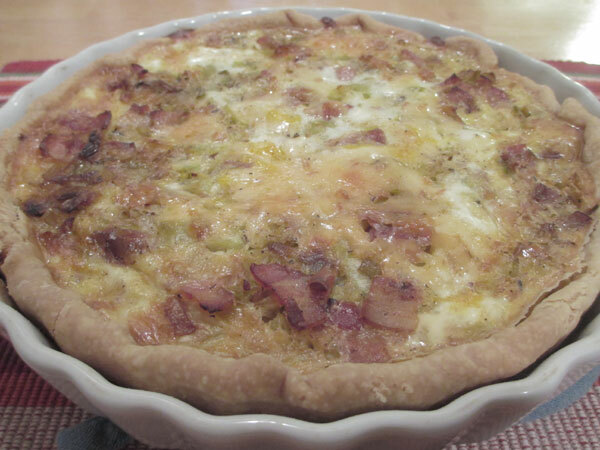 Spread some ricotta on the bottom of the crust and spread out the leeks and bacon. Topped it all with shredded smoked Gouda. Two eggs, some milk, salt, pepper and nutmeg. Baked it at 350 degrees for about 40 minutes. One of my favorite new salads is Arugula with olive oil and lemon juice. Add a little salt and pepper and some Ricotta Salata, if you have it in the fridge. That is all there is to it. 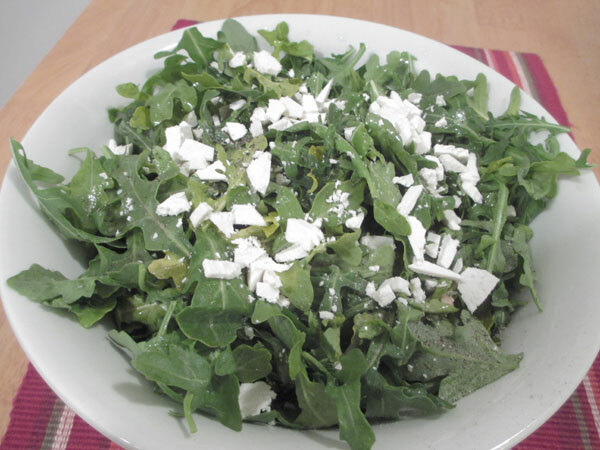 The Arugula, with it peppery taste, and the light dressing of the oil and lemon juice just scream summer dining. Light and easy!